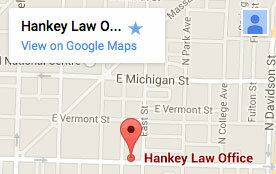 Hankey Law Office > FAQs > How much income replacement should I be receiving for my disability? How much income replacement should I be receiving for my disability? If you experience an injury that leads to a long term disability making it difficult or impossible to continue working and you are insured, you should be able to receive income replacement for the course of your disability. Coverage should include monthly income replacement that is either a percentage of pre-disability earnings or a specified dollar amount. Each plan is different, however, and you should pay close attention to the details of your specific plan.